You echo my thoughts on these subjects. Thank you. Welcome back. I had an interesting conversation recently on the topic of geology and a YEC. Had a man put forward the idea that the salt deposits under KS and OK which are extremely pure – almost straight to the table pure – might be the residues of the “fountains of the deep” which burst forth. He found it incredible (as in unbelievable) to think that an inland sea could leave behind such pure salt. It was interesting. He isn’t in the least familiar with YEC theories on flood deposition, so when I pointed out that the salt was in the middle of layers that were supposed to be laid down by the Flood, he was pretty skeptical of my claim and we weren’t in a situation where I could pull up one of the YEC charts showing what they think is pre-, mid-, and post- Flood. It was a passing item, and quickly dropped. I didn’t know YEC geology ideas well enough to give the layer names and point out which layers the Flood is supposed to have laid down and where the original bedrock is supposed to be, but I’m not sure it would have made a difference. It was a typical layman idea – based on only a vague understanding of facts. Those sorts of fanciful ideas get put forward in all sorts of areas by non-experts, not just YEC areas, and so I don’t put any serious large-scale meaning to it beyond the general disappointment that it’s a possible point that could divide someone from Christianity if they hear that view put forward as a necessary part of being a Christian. Welcome back. I disagree that YEC is a detriment to to Kingdom of God. If salvation was nothing more that intellectually convincing people that they need Christ, then you have a point. But, salvation is of the Lord (Jonah 2:9). Man can only plant and water, God gives the increase (I Cor 3:6). Charles Spurgeon has said,”If the truth can’t save them, a lie won’t help them.” Our job is not to make the Word palatable to the lost, but to present the truth as clearly as we can. The Spirit uses the Word to turn men’s hearts. Otherwise, the Word is utterly foolishness to the natural man. Everything that modern science knows about dead people tells us that they do not raise from the dead. Yet, in spite of all the biological facts to the contrary, you still believe that Christ did it. Why do the Gospel writers trump the biologists, yet geology trumps Moses? Our Lord said that if you believe not Moses, how can you believe Christ’s words (John 5:47)? Believing in a young earth requires no more faith than believing that Christ rose from the dead. They are both foolishness to the lost. One thing I would like to see discussed is how YEC fits in well with dispensationalism. If you have this system of numerology that you believe to be infallible, and the system tells you that the world MUST come to an end in its 7,000 th year and we are on the verge of the last 1,000 years, then the world must be about 6,000 years old. I believe YEC is mainly meant to give “scientific” credance to dispensationalism. The resurrection is foolishness to the world. Young-Earth creationism is also foolishness to the world. But so is day-age creationism, theistic evolution, and so forth. I accept the resurrection because it is clearly taught in Scriptures, and has been a core doctrine of Christianity throughout the ages. The resurrection of Christ was accomplished by an act that is outside of the normal way in which the universe operates, and I don’t need a supporting scientific explanation in order to believe that Christ rose from the dead. The doctrine of creation is also foundational to the Christian faith. But that is not the same as saying that YEC is foundational. None of the basic teachings of YEC—the Earth must be 6,000 or so years old, there was no animal death before the fall, Noah’s flood was global and was the cause of most of Earth’s geological features, there are strict limits to biological change—are clear teachings of the Bible. I am not seeking to water down God’s word to make it palatable to the lost. What I am seeking to do is to dig into the word and discern what it says and doesn’t say in regards to creation. I find that YECs are often guilty of going far beyond what is actually recorded in the Scriptures. YECs have their books, blogs, magazines, museums, conferences, and web sites promoting geological speculations which simply do not work. For examples, go back and read my Six bad arguments from Answers in Genesis or dinosaur footprints series. We do not need biological explanations for God’s work in the resurrection, and we don’t need bad scientific explanations to back up Genesis. Greet the brothers and sisters in the Bible study. I miss all of you. I guess what I was trying to say is that there is a lot of extra-Biblical speculation about both the beginning and about the end times. I think of these speculations as “book ends” as it were, supporting a certain view of the past and future. I believe that American Christianity – especially fundamentalism and evangelicalism, is captive to such useless speculation and this is obscuring the Gospel. I believe the church teachings and creeds that say there will be a Second Coming and one resurrection. I don’t follow the innovations that claim a certain timeline. I am saddened that many people feel their faith is threatened with the idea that the universe is an old, big place. I am sorry for the people who anxiously scan the news to find an event that can be used to validate the Bible. I just see a lot of people burdened with unnecessary things, living by sight and not by faith, sometimes being driven away from the Gospel. Good to hear from you again. Why can’t creation be “accomplished by an act that is outside of the normal way in which the universe operates”? Both the resurrection and creation were miraculous works of God. I think the young earth, no death before sin and the universal flood are very plain and clear from Scripture. Only one’s biases can make it so foggy. Granted, YECs do not have all the answers, but if everything was so cut and dry, where would the faith come in? I’ll send your greetings along to the Bible Study. We have ~20 show up for Prayer at the Pole last Thursday. PTL! I agree: creation was a miraculous work of God. The links I included in my comment state, in part, why I don’t believe the YEC doctrines of no death before the fall and a global flood. I am not saying that the Scriptures teach an old Earth, animal death before the fall, or a local flood; only that the Bible is ambiguous on all three of these. I am sorry I wasn’t there for prayer at the pole on Thursday. I’ll send an email sometime this month to update all of you on my life in the past year. 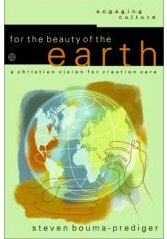 I reviewed a book a few year ago that was written about the relationship between dispensationalism and young-Earth creationism: Beyond Creation Science by Timothy Martin and Jeffrey Vaughn. 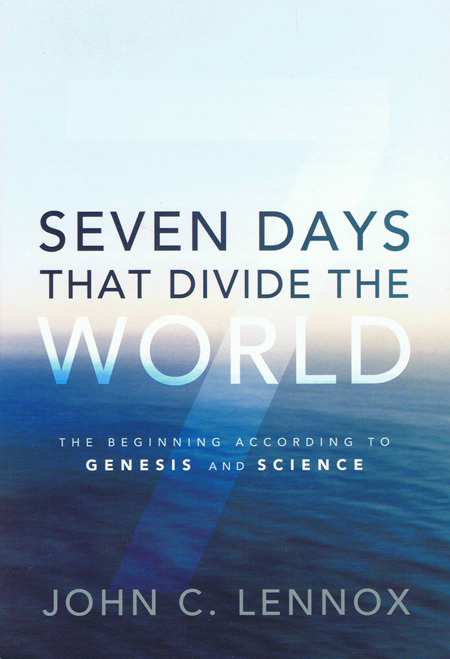 I thought they did a good job of exposing the Biblical weaknesses of young-Earth creationism, and showing some of the connections between dispensationalism and young-Earth views. However, the alternative they offered, full preterism, is outside of what most Evangelical and Reformational scholars would view as orthodox. 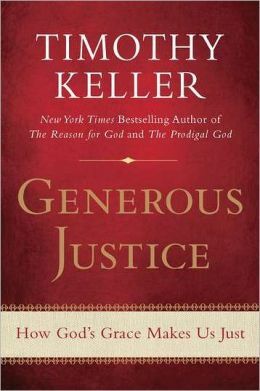 I will have to get that book, even though the authors fall into the error of preterism. It seems people go to one extreme or the other. I just looked at the beautiful full moon, thinking about how God uses that lifeless world to make the Earth a more liveable place. I was also thinking how it once was considered an attack on the Church to say that the moon is not perfect but is pock-marked with craters or to observe that the moon’s orbit is not a perfect circle. Even today some consider it an attack on the Bible to say how and when the moon got its craters. But isn’t it wonderful that God uses imperfect things? Congratulations Kevin. As you know, I am with you 100% of the argument that YEC-ism puts an unnecessary stumbling block in the path of many that might otherwise have good reason to examine the claims of Christ. God is not in the business of deceiving people and Science is not the devil’s work. But, for people whose concept of God is too small, the simplicity of treating the Bible as a science textbook will remain attractive; despite the fact that the sediments in the Mississippi Basin are tens of kilometres thick. For them, God made it that way; end of story. For the rest, please start with accepting the science of geochronology and Lyell’s Principle of Uniformitarianism. Its complicated but, in then end, much more intellectually honest. Such is life. The Aquila Report would like permission to reprint articles from this blog. I am neither a dispensationalist nor a young-earther, though I grew up around both. One common feature I have observed of those two positions is the need to interpret the Bible hyper-literally. In my opinion, dispensationalism tries so hard to reconcile slight differences in prophetic passages dealing with end times that it bifurcates key end times events: two second comings (the clandestine rapture and the public second coming), two final battles between God and His enemies (the culmination of the Great Tribulation and Armageddon at the end of the Millennium), two (or more) judgments (the Bema Seat at the rapture and the Great White Throne judgment after the Millennium), and two blessed states (the Millennium and the New Jerusalem/New Heaven & New Earth). I have not seen this idea expressed anywhere else, but it is a conclusion I have slowly come to from studying scripture. I wish I understood better how this hyper-literal approach to scripture took hold in the American church. A second commonality of the two views is that there is a tendency to put all one’s focus and energy into defending, promoting, studying, and viewing all of life through a young-earth or dispensational lens. It seems that the power of the gospel and the command to live a life worthy of our calling gets lost in the shuffle. I wonder what age an old-earther would judge Adam if Adam was met a day after God created him. What methods would be used to determine his age? Was God being deceitful by creating a mature Adam? Would He be deceitful by creating a mature earth? I don’t think so because God told us how He created in His word. How is He being deceitful if we don’t believe what He wrote? I grew up in the Lutheran church but outside of that was pretty much surrounded by fundamentalism. I did not mean to hijack this thread to discuss dispensationalism. But I do think that YEC is an essential tool for those who believe the world must come to an end 7,000 years after it was created. So sometimes a discussion with a YEC’er is not so much about science or even the Bible but more about validating a timeline for the future. I remember friends taking news stories and anxiously trying to read them into the Bible, and they would not accept anything other than the YEC view of things. If you believed that your only hope had to do with how a rather specific timeline for the future will play out, and YEC seemed to give scientific validation to that timeline, then you would likely place YEC at the center of your belief system. So I think there is more going on than disagreements about science. Interesting point about things being bifurcated into two events when they could just as well be two different views of one event. So certain things in Revelation are taken to be separate events, for example. For a long time I didn’t think that dispensationalism was all that different from orthodox Christianity – maybe the dispensationalists were obsessed with timelines and signs but it was mostly harmless. Finally I studied it more and felt disturbed by what I found. They say that sacrifices will be restored in the Millennial Temple to cover for some sins. That means that Christ’s sacrifice was not sufficient! And there is a sort of dualism between God and Satan – Jesus rose from the dead, but halfway through the Tribulation, Satan will raise the Anti-Christ from the dead! So both God and Satan can resurrect people! And they say that people will live in their natural human state in the Thousand Year Kingdom, and they will mostly keep the Law and hardly ever sin. They say that Christ could return at any moment but keep adding conditions – Christ can return but the Temple has to be rebuilt. Christ can return but someone has to breed a perfect red heiffer for the Temple sacrifices to resume. Christ can return but not until this or that event. The more I looked at it, the less dispensationalism seemed to be about the Gospel and the more it seemed to be about salvation through the Law. But I guess I should stop and let the discussion get back to science and the Bible. But I do maintain that dispensationalism is a powerful force that will keep people in the YEC camp. I agree with your concerns about dispensationalism. I think you are right in that dispensationalism and YEC are intertwined in some way. It may be that one helps support the other (as in needing to sustain a 7,000 year sweep of history). It may be that both appeal independently to the evangelical mindset. It may be that the acceptance of a hyper-literal understanding of scripture leads to both. Back to science and the Bible. One thing I have wondered about is the move within YEC to a strict 6000 year-old universe. When I was in high school in the early ’80s, I seem to recall the young earth position recognized that Ussher’s chronology was flawed and the earth, while not millions or billions of years old, could be on order 10,000 years. Am I misremembering or has there been a shift? If so, what caused the shift? I have been aware of YEC for over 30 years and I am pretty sure that most of the followers of YEC I have heard were insistent on approximately 6000 years. Now I don’t go out of my way to hear every YEC argument but I am often in a fundamentalist part of the country where talk of things like YEC, the Left Behind books – you name it – is unavoidable. There is even a “dry” county within easy driving distance so I am pretty familiar with fundamentalism for an outsider. Now not all churches that accept YEC believe in dispensationalism and for that matter not every dispensationalist is a YECer but you can often see a correlation. My guess is that a foilower of YEC who is okay with a 25,000 year old earth probably does not have a strict view of the usual dispensationalist timeline. Someone who insists on 6,000 years and says you are probably not saved if you disagree is almost certainly using YEC to help support a more or less specific dispensationalist timeline. I am really tired of the cultural war that has it that YEC or atheistic naturalism are the only viable alternatives. This puts a needless burden on people. Overall the two most strident groups are the YECers and the New Atheists. I agree, YECs today seem to be much less flexible regarding chronology. 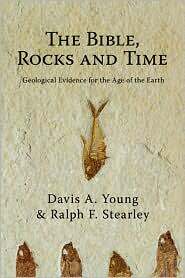 In the 1960s through the 1980s, the idea that Earth could be up to 10,000 years old was common among YECs. Appendix II of The Genesis Flood by John Whitcomb and Henry Morris was devoted to the issue of “Genesis 11 and the Date of the Flood.” Genesis 11 contains the genealogies that are used (or mis-used, depending on your perspective) to determine the chronology of creation and Noah’s flood. They examined a number of difficulties with the strict Ussherian (i.e. 4004 BC) chronology. Whitcomb and Morris recognized that the archeological record in the Middle East goes back further than 2300 BC. They also perceived Biblical problems with the strict 4004 BC chronology, such as the implication that Noah would still have been alive when Abram was 50 years old. 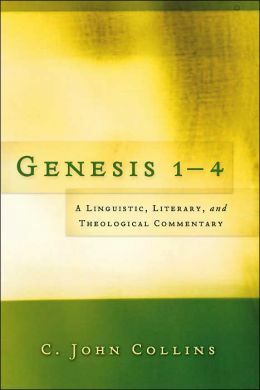 Whitcomb and Morris concluded that there could be room in Genesis for a few thousand extra years—hence the figure of a 10,000-year old Earth—but to insert more time than that would do violence to the genealogies. I also see a correlation between YEC and dispensationalism, though by no means are all YECs dispensationalists nor are all dispensationalists YECs. It would be interesting to see statistics on this. Both are often accused of a hyper-literalism that is not based in the Bible itself. A recently-posted page on the Answers in Genesis site (Feedback: Timeline for the Flood by David Wright) states that the world was created in 4004 BC and that Noah’s flood occurred in 2348 BC. Wright concludes by saying, “Using the Bible, well-documented historical events, and some math, we find that the Flood began approximately 4,359 years ago in the year 1656 AM or 2348 BC. Some may look for an exact date (i.e., month and day), but we are not given that sort of precision in Scripture” [emphasis added]. That gave me a flashback to the book 88 Reasons Why the Rapture Will be in 1988. Edgar Whisenant knew that Jesus warned us that no one could know the day or hour of Christ’s return and that is why Whisenant couldn’t narrow down the rapture any more precisely than September 11, 12, or 13, 1988 (See Reason #1 in the online edition). Regarding the upcoming 1988 rapture, Whisenant confidently proclaimed, “Only if the Bible is in error am I wrong.” (Time Magazine). The YECs proclaim the same type of black-and-white contrast as the end-of-the-world date-setters: if what they teach about the age of the universe, death before the fall, and the extent and work of the flood isn’t true, then the Bible itself must be in error. Never mind that the Bible is ambiguous on these matters and cannot be used to date either the beginning nor the end of this world. Kevin, thanks for the historical perspective. I wondered if I misremembered. 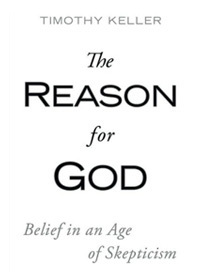 Your juxtaposition of “88 reasons” reasoning and AiG reasoning is sobering. Another thing we need to remember is that the labels of “dispensationalist” and “YEC” do not represent a monolithic bloc. There is a spectrum of views within each, but we only tend to hear from the most strident and dogmatic voices. #19 Kevin. I should like to echo Carol’s thanks for this explanation. I cannot believe I had not spotted the “problem” of Noah being alive when Abraham was born… Not only does taking the Bible as literal truth require the reader to behave like a robot that cannot make sense of simple things like “time flies like an arrow but fruit flies like a banana…”, in many cases such as this, it reduces it to being nonsensical. If YECs today have conceded that the genealogies are not literally correct (i.e. generations may have been “left out” in order to achieve the “required” numerological symmetry etc), where else and how do they justify preventing the Bible being freed completely from the straight-jacket of treating it like a science or history text book? I think all YEC’s today could do a lot worse than read David A. Weintraub’s new book, How Old is the Universe? For an interesting selection of reviews of it, try this. Great discussion! Well, American fundamentalism/ecangelicalism can be pretty well boiled down to two things: YEC and dispensationalism. Add to that the churches from the Reformation (Lutheran, Calvinist) that make YEC an official or semi-official doctrine (I think because YEC seems “conservative” and because the conservative Reformation churches in America tend to absorb elements of evangelicalism by osmosis). I think hyper-literalism is an attempt to solve a big problem in Protestantism, the problem of authority. The Roman Catholic Church can appeal to the Bible, the Church Fathers, tradition and the pope as authorities. The Roman church, although largely conservative, does not teach YEC. Some Protestant churches put the Bible as the only authority, and then the early church fathers and later teachers like Luther or Calvin on how to interpret the Bible. And they take tradition seriously. In such churches dispensationalism is pretty well rejected because most of the authorities spoke against it. But there was nothing about the creation date beside extrapolating from known events in the Bible. So some early church figures guessed that the world must be several thousand years old but no one made a big doctrine out of it. So now modern YEC is being more or less accepted in these churches and it is becoming a doctrine and not so much seen as optional. Then you have the churches on the far “left” of the Reformarion. These churches try to stay as far away from Rome as possible. 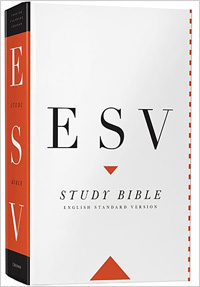 These teach that the Bible is the only guide and any reading must be more or less literal. They might accept parts of what Luther or Calvin taught but there is no book of confessions that list what the church believes the Bible says. Since the Holy Spirit can speak to anyone, each believer alone with his or her Bible is an authority. This all plays well with American individualism. It also works with the gnostic-like desire to find secret meanings or messages in the Bible. So there is a lot of fascination with numerology and such. I think this can lead to a lack of humility. If I am my own best authority on the Bible, than surely I can appoint myself an authority on science too. We are already well down the road of subjectivism. Speaking of subjectivism, it would be interesting to ponder how religion and science could work (or not work) in a post-modernist culture that rejects authority and logic. I wanted to add that the West is running out of modern people. By modern I mean believing that objective reality exists. People who came of age after 1990 or thereabouts have been taught almost nothing but post-modernodernism. They cannot imagine anything but subjectivism. I think defending science against the old style anti-intellectualism was an easy task compared with the challenges of post-modernism, with its subjectivism. I think science is about to experience a rapid decline in America and many other western countries. There just won’t be enough modern people who know how to use modern tools to keep things running. I do believe there is an element of subjevtivism that YEC has in common with post-modernism, even if this subjectivism has different origins. In YEC, the laws of physics seem to be ever-changeable in order to make everything fit into a particular timeline. If you appeal to known laws of physics that support an ancient universe, the YEC reply is, “Were you there?” There is skepticism about reason, all you can trust are divine revelation and direct observations you have made. You might not for example be able to talk about the “nature” of how a star works because it probably worked differently thousands of years ago than it works today. Post-modernism does not hold that objective reality exists, or if it does exist, it is unknowable or you can’t do anything about it. I know this is an over simplification. Again, there is ultimately little use for reason. The YEC reply “Were you there?” Is something a post-modernist could also ask, since knowledge is illusory and all you can trust are your senses. So yes, I am over simplyfing things but I do think there is a strong element of subjectivism in both what would be thought of as the far right and far left. I would like to see a modernism along the lines of what Karl Popper discussed. I think the post-modernist road we are on is a dead end and is a greater threat than the old-style ideas like YEC. Hi Jacob. As I see it, YEC-ism shares with climate change denial a rejection of scientific authority as objective. This therefore amounts to the dismissal of all contrary opinions as being unrelieable and, as such, is not quite the same as moral relativism… Whereas subjectivism/post-modernism is, unless you can explain otherwise, the same thing as the moral relativism that empowers the fallacious “marketplace of ideas” that holds that all opinions are equally valid – expert and non-expert alike. Do you see what I mean and do we therefore agree? Hi Martin, well I am sure a YECer would say his idea of science is authorative, however much we might disagree with that. But I don’t think YEC believes in laws of nature the way I would recognize them. The YEC universe seems to be this crazy-quilt place where the laws of physics worked differently yesterday than today, and nothing is quite what it seems to be. Indeed, if I understand YEC correctly, things MUST not be what they appear to be. If God created the universe and set things up to follow certain natural laws (but God can of course intervene with miracles), that is one thing. If God set things up to behave differently yesterday than they behave today, what is that? If the speed of light is one thing yesterday but something else today, can we even say that light has a “nature” to it? Does anything then have a nature? The YEC world seems to me to be lacking in “natureness” if I may poorly craft a word. This does to me seem to have parallels to the extreme relativist who would say that everything is chaos and, to my way of thinking, that means that nothing has a “nature” to it. So again we are stuck with a universe that lacks “natureness” (if I may once again be permitted to mangle the English language). And a relativist can be just as dogmatic in his way, in spite of his professed agnosticism, as a true believer in anything can be dogmatic. If God created the universe and it is good, and if God is the same yesterday, today, and tomorrow and if God is not the author of confusion, that would have a lot to say about the nature of the universe, wouldn’t it? I think we’re back to dispensationalism: “The YEC universe seems to be this crazy-quilt place where the laws of physics worked differently yesterday than today.” If it works in dispensational theology, it must work in dispensational science as well. “Dispensational science” LOL! Okay, I will get off my anti-dispensationalist soapbox. I will just leave off saying that it is best to let clear passeges in the Bible help you interpret the less clear passages. Or at least that is what my Lutheran teachers told me, and it has kept me relatively sane, I think. I just see so much of people taking an obscure passage and trying to weave a whole garment from one little thread. I think that can have really harmful consequences. I’m signing off – I have monopolized this discussion too much. Dispensationalism is not a term or concept I was familiar with until now – so thank you all for the education. I just realized the irony of getting into dispensationalism on the 1000th blog posting. #23 Jacob, #24 Martin: The scientific skepticism of the right (YEC, climate change deniers, those who distrust conventional medicine in favor of folk or natural medicine, etc.) comes from two sources. The first, applying the scientific method too rigidly (you can’t test and verify the past, no one was there), is modernist, or at least enlightenment principles gone amok. The second, distrust of the motives of the establishment, perhaps traces its roots to postmodernism which states that any meta-narrative to explain things is really just a fabricated power grab coupled with a good Calvinistic theology of the total depravity of man. As for how postmodernism will affect the future of science, it will be interesting to see how that goes. Postmodernism challenges the assumptions that underlie the scientific method — science is all about finding the true meta-narrative that explains what we observe and infer from the evidence. Can scientific discovery be sustained in such an environment? Here’s a thought that just came to me. Science was made possible because of a world view that there is a rational creator God and therefore the universe is rational and knowable. Could it be that science is falling apart because the world view is that humans can’t be trusted (either because of spiritual depravity or because they manipulate the meta-narrative for their own purposes) and therefore cannot produce rational results? #30 Martin: Turn around is fair play. I was not familiar with the term “falsifiable theology” until you just mentioned it. After a bit of poking around the internet, I found this quotation from Thomas Aquinas that I gather illustrates the concept. I know there is a similar one from St. Augustine. It is a good reminder to approach scripture with humility. Well, what do you know? It was on your blog that I found that quotation. Good ol’ Google does it again.